Having traveled and lived in Taiwan, Canada, Japan, South Korea and Tanzania, Lucia is our multilingual Sales & Marketing Director, and is now based in Arusha, Tanzania. 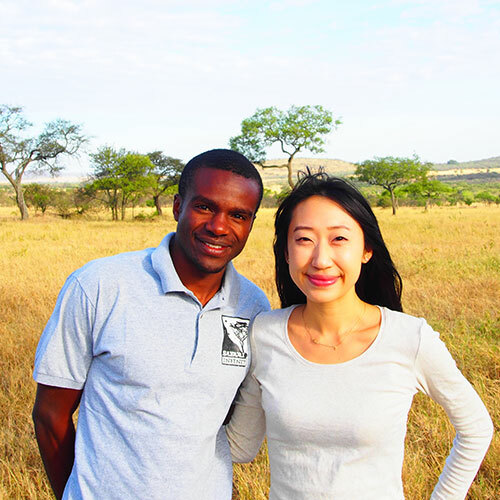 It was during her trip to Tanzania in 2009 that she witnessed the beauty and positive growth of the country first-hand, and have since established Safari Infinity with her husband Simon Kombe. With an academic background in Human Rights and work experience in Marketing, Lucia strives to make a positive impact in Tanzania with an exceptional work ethic and fair tourism.